This comes from friend of the blog The Devil's Zone's Nick Casale you can follow him on the Twitter machine on @TheDevilsZone. If you want/need any Devil's news this is the place for it. Rumor is that Nick was the one to convince Jagr to grow back his mullet! Here are some questions I asked Nick about our Metropolitan Division rivals and here is what he had to say! So, what did your team do this summer? Mike Cammalleri was our "big fish" signing (5 years at $5 million), while Martin Havlat (1 year at $1.5 mil) was the "eh, what the hell" low-risk/high-upside pick-up. We also brought back Scott Clemmensen on a 2-way contract. GM Lou Lamoriello also locked up Cory Schneider and Andy Greene on long-term deals. Neither was a UFA, but getting them signed, sealed & delivered now will keep their contracts from becoming a distraction during the upcoming season. And if there's one thing Cory Schneider does not need, it's another year of distractions after the two consecutive two soap-opera seasons he's endured. On the flip side, we lost Mark Fayne. He had quietly become one of our most-reliable Dmen, racking up big, important minutes alongside Greene. And we bought out Anton Volchenkov, clearing the way for some of our young defensemen to step into a regular spot. What is the biggest surprise this offseason? I really can't say anything surprised me. We've gotten used to the way Lamoriello operates—always taking small steps forward, rarely making a big splash—and I think he stayed true to form this year. What would be one change (or more) you would have made? I would loved to have picked up a true #1 center, but then half the league could say that. Travis Zajac is a really solid #2 in my eyes, and while Adam Henrique certainly has #1 potential, he's yet to show he can play at that level consistently—other than the year he centered Parise and Kovalchuk. But you or I would've looked like an all-star between those two. I also might have gone after a solid veteran Dman. While the future of our blue line looks incredibly bright, I'm concerned about the present. Andy Greene is our #1 shut-down guy, and admittedly that's not a name that strikes fear in the hearts of opposing forwards. I would love to have the 2008-model Bryce Salvador anchoring our blueline, but he's just not the same guy at 38 years old. And while I love the offensive upside Marek Zidlicky brings, he's a not exactly Mr. Dependable in his own zone. That leaves 3 young guys rounding out the top 6, and quite frankly that scares me. Our 2011 #1 pick (4th overall) Adam Larsson has yet to prove he can be an NHL regular, despite being given every opportunity to do so over the past 3 seasons. Eric Gelinas made a big splash when he first came up last year and really sparked our power play with his huge slapper from the point, but as the season wore on he became way too prone to defensive lapses. Jon Merrill played solidly in his time with the big club, but 52 games is still a small sample size. Bottom line? I'd be OK with any 2 of these 3 young, offensive-minded blueliners in our starting 6, but not all 3 of them. Any players your team passed on this summer you would have liked on the team? Paul Stastny would have fit that #1 center need beautifully, and Jason Spezza would have been a good second choice. Willie Mitchell would have been a nice fit on our blue line: a solid, stay-at-home D who brings a lot of experience and leadership. He would've made an excellent mentor for the young guys I mentioned above. Who is going to be your “dark horse” break out player this year? Can a back-up goalie be considered a "break out" player? 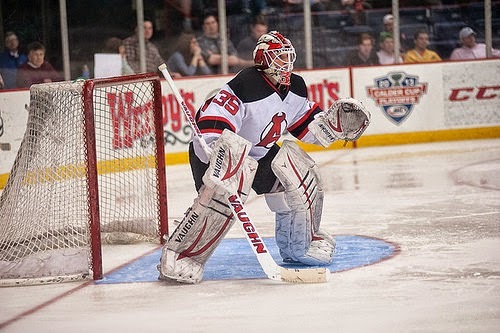 Because I think Keith Kinkaid is really ready for prime time. I've watched him a few times in Albany (AHL) and really love the way he plays his position. He's quick, compact, and economical, and tracks the puck really well. By no means is he going to displace Cory Schneider—let's not start another goalie controversy on this poor guy—but I think Kinkaid will establish himself as a solid NHLer this year. I also have a funny feeling that Martin Havlat is going to find his game again, potting 20-25 goals. Can't explain why I feel that way. Maybe because he'll be playing with his buddy Patrik Elias? Or maybe because Ryder and Brunner failed to produce for us when given a similar opportunity last year, and the optimist in me says that the third time's the charm. Any rookies you see making the team? As mentioned above, I believe Keith Kincaid will be the #2 goalie behind Schneider. And I think that's what the team's hoping for, which is why they gave Scott Clemmensen a 2-way deal. It's like they're telling Kinkaid, "The back-up goalie job's there for the taking kid, but we're not just going to hand it to you." Damon Severson, another one of the promising young defensemen in our system, is generating a lot of chatter. He was a point-a-game guy in the WHL last year, with 15 goals and 46 assists in 63 regular-season games, plus 4 goals and 14 assists in 14 playoff games. But he'd have to be considered a long shot to make the team, given the lengths they went to in clearing the way for Larsson, Merrill, and Gelinas. As I type this, we have 14 NHL forwards under contract, plus Ryan Carter rumored to be coming to camp sans contract, so I think it's going to be tough for our top forward prospects like Reid Boucher (62 goals in the OHL 2 years ago) and Stefan Matteau (who I dislike for a number of reasons, not the least of which is a certain goal his father scored on us 2 decades ago) to crack the lineup again this year. What is your team’s biggest need this season? Shootout wins? Hell, shootout GOALS! We scored a grand total of 4 the entire year (on 45 attempts), and 3 of those came in garbage time after we'd been eliminated from the playoffs. It's been well documented, but ICYMI: we were 0-13 in shootouts for the year, and missed the playoffs by 5 points. I'm no math major, but even I can see that a halfway decent performance in the skills competition would have gotten us to The Dance. I know it’s early but any trade deadline predictions? If we're in the playoff hunt—and I fully expect us to be—I think we'll have to add a good, solid veteran defenseman to the mix, for reasons noted above. 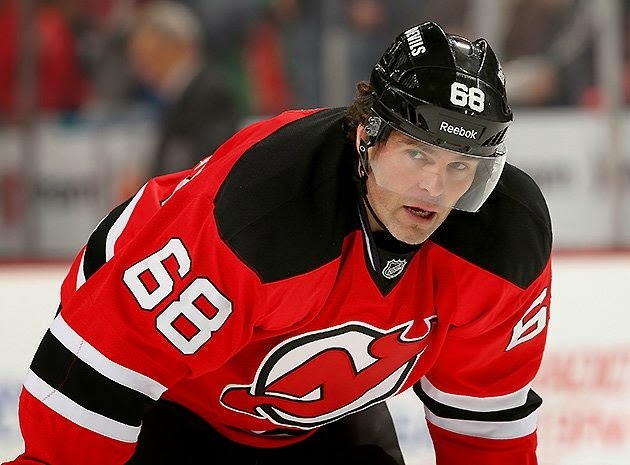 If we're out of it come the trade deadline, I'd love to see us get a decent draft pick for Jaromir Jagr. I mean, no way this guy comes back again next year, right? But he could be the guy who puts a contender over the top. 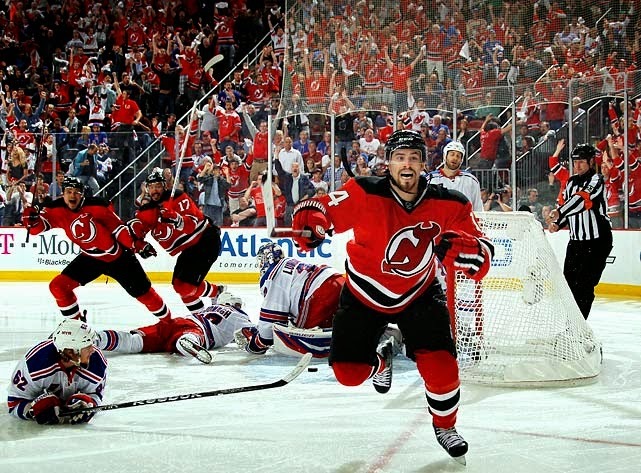 Bryce Salvador might also be a nice depth pick-up for some team, but I can't see much coming back our way in return. What are your predictions for your team this year? I think we'll be battling for a playoff spot come the Spring, and I'm pretty confident we'll make it. Whether we've got enough talent to win a round, I don't know. But just getting to the playoffs would be a huge boon for the development of our young defensive corps.